Last week Labour MP Keith Vaz put through a motion in parliament condemning Modern Warfare 3 for its apparent depiction of the 7/7 bombings in London and its "gratuitous acts of violence against members of the public". It's not unheard of for MPs to criticise first-person shooters and given that Modern Warfare 3 is the biggest-selling game of all time, this was easy prey for Vaz, a long-time campaigner against violence in videogames. What's surprising, however, is that there has been an amendment to the motion which criticises the criticism and it's been written by games evangelist and Labour MP Tom Watson. In the amendment he explained: "The British Board of Film Classification (BBFC) gave the video game Call of Duty: Modern Warfare 3 an 18 classification, noting that 'the game neither draws upon nor resembles real terrorist attacks on the underground'." Watson went on to say: "The game has an excellent user interface and challenges the gamers' dexterity as well as collaborative skills in an outline setting; and encourages the BBFC to uphold the opinion of the public that whilst the content of video games may be unsettling or upsetting to some, adults should be free to choose their own entertainment in the absence of legal issues or material which raises a risk or harm.'." The classification games is something that is always in the news and was also something the coalition government said it would tackle with the introduction of one rating system from PEGI. So far, however, there has been no movement on implementing the new ratings system. While only nine people have so far agreed with Vaz and put their name to the movement, none of which are from the Conservative party, it's great to see Watson add much-needed balance to the games debate in an official capacity. 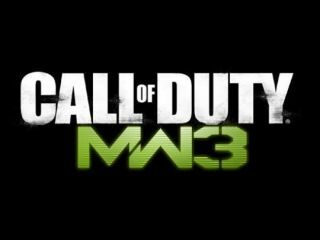 And his views are backed by many – Modern Warfare 3 shifted 6.5 million copies in its first 24 hours of launch, making it the biggest entertainment launch ever.